Welcome to Zero Waste International Alliance, the internationally recognized online source for Zero Waste standards, policies and best practices for communities and businesses. 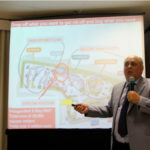 The Zero Waste International Alliance is globally connected through our affiliates and partners. Explore our extensive network or better yet: Become part of it! 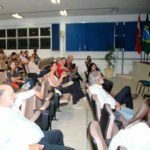 The Zero Waste International Alliance has established an extensive set of guidelines, policies, and processes and encourages environmentally focused organizations to adopt these. Education is the most powerful ingredient for change. For this reason, we are openly sharing presentation material, publications, and other educational resources with the world. Who is the Zero Waste International Alliance (ZWIA)? Working towards a world without waste through public education and practical application of Zero Waste principles. 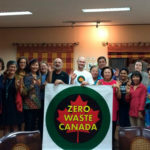 The Zero Waste International Alliance has been established to promote positive alternatives to landfill and incineration and to raise community awareness of the social and economic benefits to be gained when waste is regarded as a resource base upon which can be built both employment and business opportunity. The simple technology and methods required to achieve Zero Waste exist in every community around the world. The Zero Waste International Alliance can connect you to leaders in the field who can provide your community with the models, the projects, the people and the means to help you develop Zero Waste as your ultimate goal. The Zero Waste International Alliance operates at the international, national and local level and involves all sectors of society. Working toward a world without wasting through public education and practical application of Zero Waste principles. Convert wasting to managing resources for the benefits of local production and the creation of a sustainable society. The new ZWIA Banderoll! Just in time for the Baltimore ISWA SWANA Conference! Thanks Pal!